Start this year off strong with essential oils that can help keep your mind energized, focused, and ready to learn! 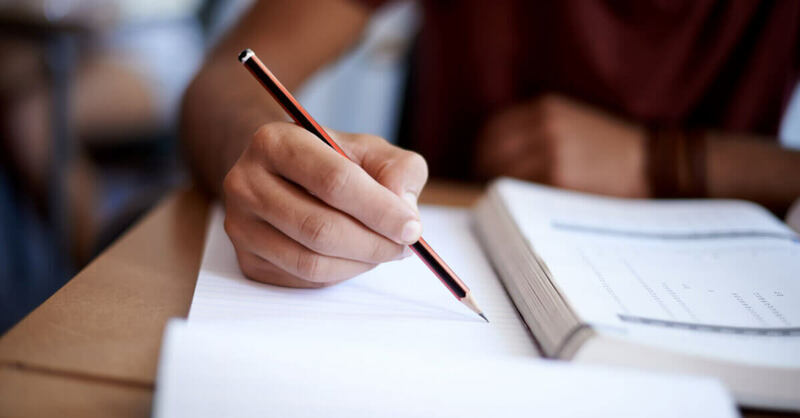 Whether you need to study for school, your job, or just for your own self-improvement, let us help you stick with that goal. Here are a few of our favorite essential oils to help give your brain a little extra boost while your nose stays buried in a book. With a rich history behind it, Rosemary is well known to support cognitive functions. Studies show the invigorating herbal aroma can improve the speed of learning, as well as support long-term memory. The compound that makes Rosemary so distinctive is 1,8-cineole, which aids a brain chemical linked to learning and memory. It is also known to increase blood supply to the brain, making it useful when you’re suffering from poor concentration or nervous debility . Add a few drops of Rosemary to your diffuser anytime you’re beginning to study or whenever you could use a little extra help staying focused. A powerful brain energizer, Peppermint stimulates the mind, supports memory, focus, concentration, and mental performance. Fragrant and familiar, Peppermint will wake up the mind and help boost your productivity. Studies show that Peppermint can help reduce mental stress, help with focus and assist in keeping you on task. Try our Pre-Diluted Peppermint Roll-On by rolling it directly onto your wrists and inhaling for an immediate mental spark. Citrus essential oils have a fantastic ability to help perk us up and Lemon is no exception. It is great for uplifting your mood, providing a boost of energy, and promoting mental clarity and focus. Lemon can also help promote feelings of happiness so you can go forward with your studying with a positive attitude. Basil Linalool is also an excellent choice if you’re looking to improve focus and refresh your mind. Besides being a popular culinary herb, Basil also helps restore mental alertness when inhaled. It helps clear brain fog and has a refreshing aroma that helps reduces excitability, helping you settle down and focus better on a singular task. And don’t forget to check out a few of our blends designed especially to help your mind stay sharp! Mojay, G. (2005). Aromatherapy for healing the spirit: A guide to restoring emotional and mental balance through essential oils. London: Gaia. Pg. 115. I use the brain aid roll daily at work, it really saves my day. Invigore Aid really helps me with my dizzy mood in the morning! It`s so refreshing and gives me a `boost` for the day ahead! Excited to try out these oils to see if they help me focus! Invigor Aid and Energy are two great blends that seem to keep me alert. I made a deodorant spray from Energy and a roll on and body butter with Invigor Aid. peppermint is the one that works best for me, for respiratory and attention focus. Peppermint is my go-to! I love it. I just ordered A+ Attention for my homeschooled kiddos. Planning to make it into a roller bottle since a lot of people have said they didn’t like the smell. I hope it helps because the second half of the school year always need some extra focus! I do not care for the smell of A+ but it does help me to concentrate! I was using the blend a lot while writing my thesis. When I will use it up I will try one of the other suggested oils. I got A+Attention for my daughter but she can not stand the smell and even though it worked she refuses to use it. I’m trying to make a blend for her for school that she likes. So far, peppermint and lemon are her go to!! I use lemon and peppermint ALL the time. I love how it helps to keep my sinus’ clear! 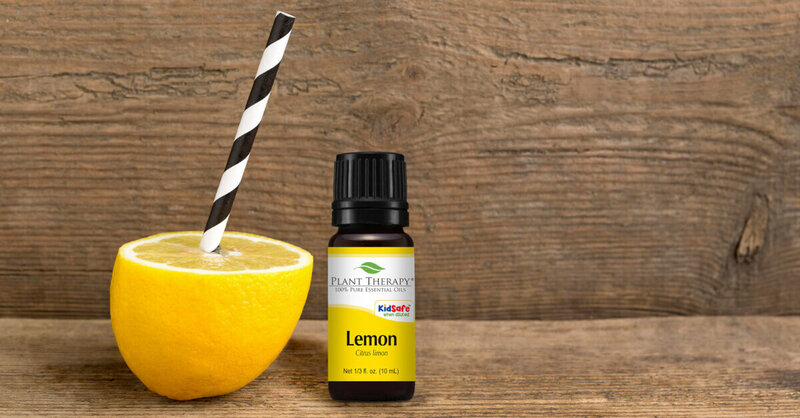 After reading this blog & comments, I started adding lemon to our diffusing mix. We were doing the fir needle and peppermint. The lemon really adds to the keep awake smell. Sometimes, also add spearmint. We homeschool & my son requests this over other mixtures to help stay focused. Thanks for the lemon idea! Yesssss I love this! These ideas were so awesome with college just starting again, thank you! Peppermint and lemon are excellent diffused together! We homeschool and when the high school students lose focus-these two in the diffuser bring them right back to focus. Great information that look forward to using the next time I’m doing a project that I’m having trouble focusing on. I appreciate these short guides to help us learn about the oils we have and give us extra avenues to use them. Thanks for these great ideas! I love peppermint for focus as well as spearmint. Lemongrass seems to help me focus too. I have used all of these with varying results. Right now my favorites include ravintsara or a combination of mint and orange. Good to know that I have all of these. Sometimes it’s hard to have focus when trying to do too many things at once. I was wondering can I swap peppermint for spearmint to make kidsafe and use it with lemon in the diffuser, will it still have brain boosting effect? So excited to learn that Rosemary helps with focus! I am getting ready to make an inhaler for my husband to use while he’s in class. I was trying to think of a good blend to make…but I think I’ll just go straight lemon after reading this! Thanks for this! I just recently got basil linalool, I’ve been using it with lemon and rosemary Anything I can do to help with focus ! We love using A+ attention during our hard home school days! I also love diffusing citrus oils from time to time for a lift me up, good to know they are also helpful for focus! I have almost all of these! Going to try at work tomorrow! And order the other soon! Is there a good kid safe oil that can be added to A+ attention? My kids all agree that they want to like it for it’s purpose, but it’s a yucky smell overall for them. Peppermint and lemon in my diffuser right now. A favorite combo of mine. We use the A+ attention for my son with ADHD for focus. With little kids and a demanding job, I often find it difficult to stay focus at the task at hand. I have A+ Attention but will attempt to make another blend of the oils listed to rotate. Thank you PT for the informative information. I am so glad I read this post! As a nursing mama that doesn’t take big pharm medications for my ADHD, I love that there is some insight on using essential oils to help focus. I just bought a set that includes clarity and I would love to try A+ Attention soon! Caroline, please do not use peppermint oil when nursing. It could dry up your milk supply. I hadn’t realized that basil also helped with mental focus. I’ve found peppermint to be too strong diffused lately. Are there other mints like spearmint, bergamot mint, or balm mint bush that would have similar effects? I really want to try and get A+ Attention. I’m always such a scatter brain and have heard great thing about this blend. I’m so glad I read this blog because I have most of these oils and can try my own blend and see how it helps. Great blog thank you! Great Blog! I am planning to get A+ Attention soon. Hoping it will help me focus better all day long. Desy, Spearmint would be a great choice for children. Thank you! I have that one too…. 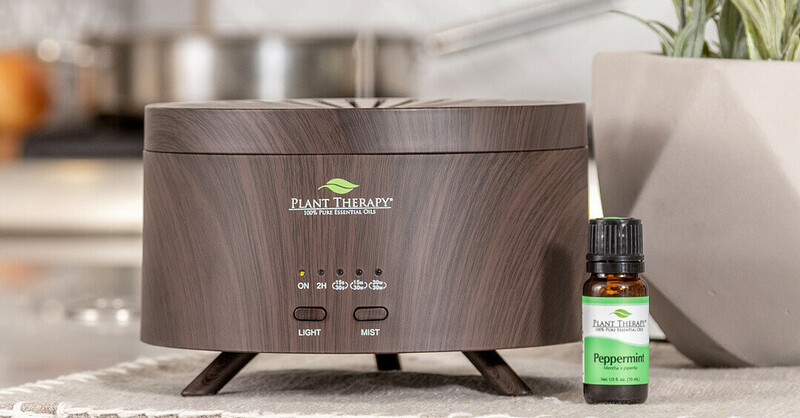 I’m a grief counselor and have really been looking at ways essential oils can keep me focused and assist those who are struggling emotionally. Much appreciated! This was really helpful, lately I’ve had an awful time focusing on things, going to try some lemon since I have it and will be ordering some of the others! I definitely need something healthier than coffee to keep me awake at work after lunch 🙂 And the best thing about citrus oils is that they are energising and stabilising at once. I am going to try lemon, basil and peppermint, but will add a bit of sweet orange too. Thank you so much for this post! I use A+ Attention for my daughter and find that it really does help her. Glad to know that Lemon can help with focus, too. I like having other options to help my daughter. I love anything citrus to keep me alert! Now I have some new ideas to check out to mix it up a bit. Thanks PT! Thank you for the ideas for clarity! I diffuse a blend with grapefruit, rosemary and spearmint when I need to focus. And another with lemon, basil and spearmint. I’m glad I’m on the right track! Good article for students. Thank you! These oils are indeed perfect for promoting mental focus. I love my blend of Peppermint and Basil Linalool and Grapefruit pink. I do love the citruses and mints for focus. Just starting to experiment a little more with the rosemary and basil now. I’m not quite as in love with the scents of these so using them in combination with the citruses and mints works for me.